To promote the healthy growth and character development of children through the study, practice and performance of music. To build a musical connection between the child, the parent, the teacher and the community. 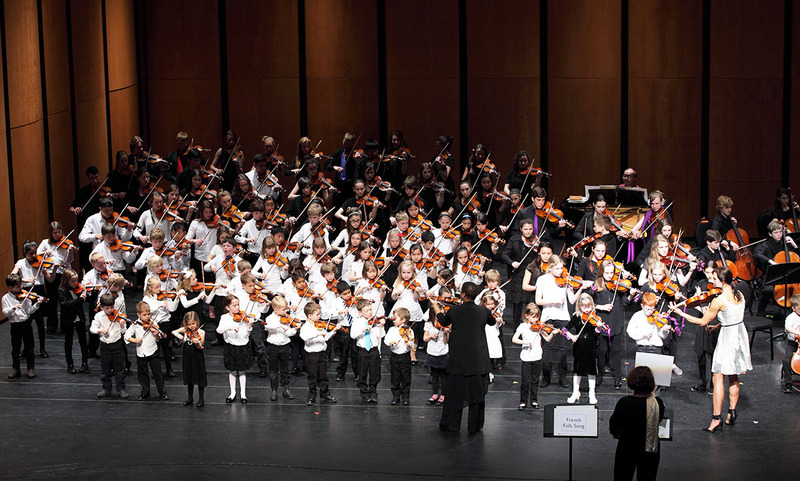 To promote the idea that every child can participate and flourish through a musical community. The SSSG offers Suzuki early childhood education classes; weekly private lessons in violin, viola, cello & bass; regular group lessons; orchestras; chamber music; and parent enrichment classes. There are no auditions to enter the program—every child is welcome. SSSG has a bursary fund available for families in need of financial support. At the SSSG, students are also performers. We see the need for young people to gain confidence, sensitivity and leadership skills through performing with and for others. We put on two mass concerts a year at the River Run Centre, as well as solo recitals, joint concerts with other youth arts organizations, performances at the local Kiwanis Music Festival, as well as school concerts and performances at many community festivals and events throughout the year. Our senior students perform at a very high level both in solo and group performances. Many of them do RCM exams and are scholarship winners at Guelph Kiwanis Music Festival and provincial finalists at the Ontario Music Festivals Association. They have participated in tours and student exchanges in Ontario, Alberta, Newfoundland and Labrador, Quebec, Manitoba and in the United States, China, Poland and France. 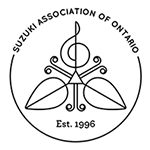 Since 1972, the Suzuki String School of Guelph (SSSG) has raised funds, organized activities and performed at countless community events to meet its goals to advance the art of music, build communities, provide accessibility to music education to all members of our communities, create the next generation of positive community members and leaders, and strengthen culture and civil society. Our aim is to permit as many children as possible, regardless of socioeconomic situation, to develop into confident and well-rounded individuals through music education; and to improve quality of life in our community through music. Together we can foster vibrant and self‐sustained communities in the Guelph/Wellington region.